We often talk about taking charge of our own success when it comes to training and competing in strength sports. This also applies to team sports, endurance sports, and pretty much any kind of competition you may engage in. But, what exactly, does that mean? As a last minute assistant lacrosse coach this past season, I actually saw this happen in real life at my son’s championship lacrosse game. 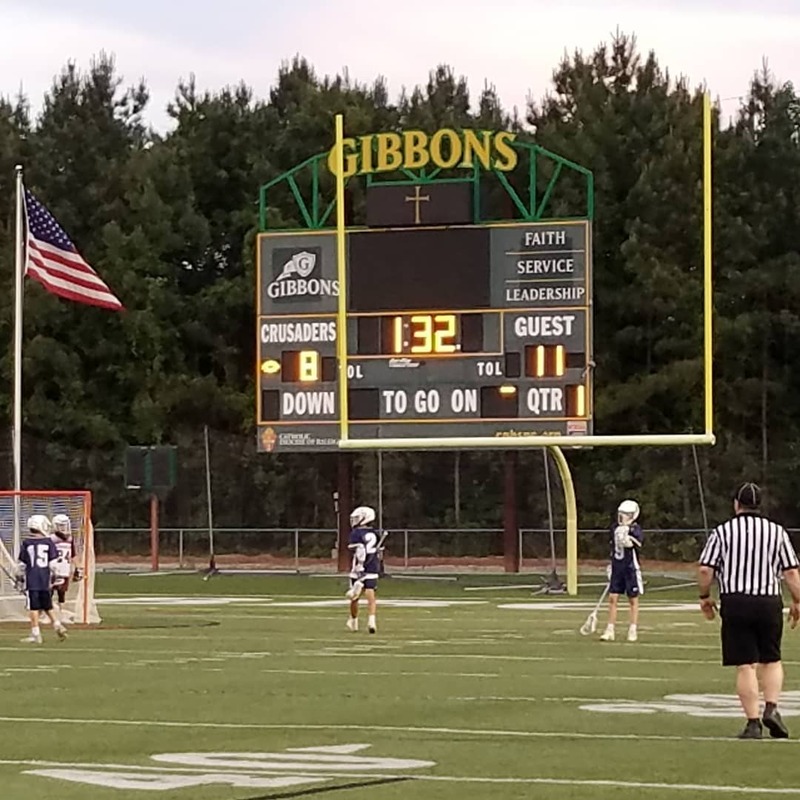 I’ve seen this happen in individual sports before and its pretty cool to watch happen, but seeing it happen for a whole team (of middle school boys no less) is pretty spectacular. So, Tuesday, after winning the first conference playoff, we knew that we were going to have to play the undefeated team in our conference for the championship. This team had beaten us twice in the regular season and this would be our third chance to turn the tables. But, we hadn’t figured out just how to do that yet. We knew our players were just as good, just as fit, and just as strong, but we hadn’t figured out how to use our strengths as a team. I’m talking about strategy here. And strategy can take you down a whole lot of rabbit holes that aren’t worth going down if you don’t know how to properly evaluate your situation. Often, in middle school sports (at least in the sports I’ve observed), the coach makes the strategies, calls the plays, and runs the game how he sees it should be played out. This is often based on what they remember from their youth or seasons past, but rarely focuses on the actual situation at hand, the other team’s strengths and weaknesses, and the strengths of their players. The head lacrosse coach, however, has many many years of experience as both a coach and player and took a different approach. The day before the game, we all gathered together and he asked the boys what they thought. Our team had a lot of answers. A lot of good answers. They had been watching and learning. There was about 45 minutes of recollection and brainstorming where our 6th, 7th, and 8th graders figured out how they needed to play against certain players, who on our team was best for certain matchups, and then they picked the plays that they thought would be most effective both for offense and defense. And then they went out on the field and practiced it. Thursday evening, they took that strategy to the field and put it into play. Every quarter, we regrouped, re-assessed, adjusted, and made it better. After being down four points in the first quarter, we evened the score back up, got ahead, and held it in place until the end of the game. They stayed focused on their plan, encouraged each other to stick with it, and believed they were going to be successful. So, to be clear, this was not a game won on strength, skill, or conditioning, it was won on strategy, attention to detail, the ability to make adjustments with more information, and sticking to the plan. It was amazing to watch. Of course, my son thinks this is a normal thing that everyone does and thinks I’m silly for being a bit awe-struck. However, I’ve seen goals of all kinds fall by the wayside simply because the individual refused to own their success and actually make it happen. There is a quote that goes something like this: “The definition of crazy is doing the same thing over and over and expecting a different result.” And unfortunately, in sports and fitness, there is a lot of crazy. What do you know about the challenges you face? How can you use your strengths? How can you manipulate their weaknesses? And how often do you need to re-evaluate your situation and adjust accordingly? When I have someone come to me with a big goal, the first step is always to figure out where we are. And then we figure out the best way to get to where they want to be. I am an optimist in that I think most things are possible with time and practice, but if you aren’t willing to to take an honest look at yourself and come up with a plan, success will elude you. How to get started . . . .